In Indonesia these buses called AKAP. AKAP is Antar Kota Antar Propinsi which means Intercity Interprovince. There are many companies that served in various intercity routes such as to Bali and Sumatra from Java island. Just like other countries there are classes in these mass transportation, such as economy class usually without air conditioning and executive class with its full VIP services. 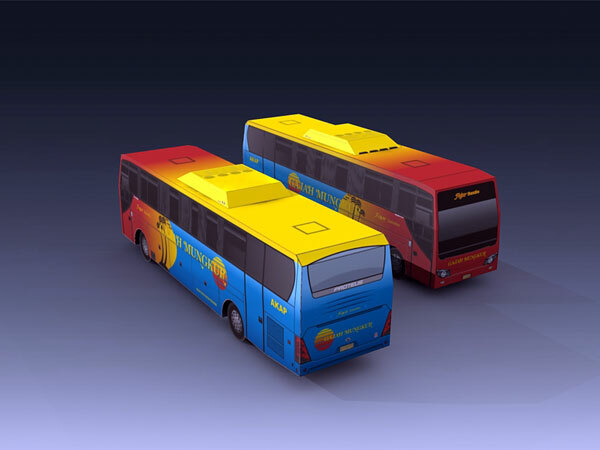 This bus paper model is from Gajah Mungkur Intercity Coachlines. 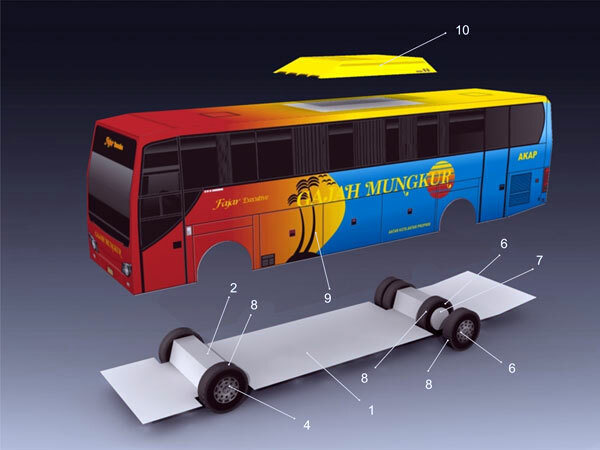 Not like transjakarta paper model It has simplified.